A Million Things I Love . . .: #179 - Did you know this? Don't you hate when the aluminum foil, plastic wrap, etc. fall out of the box when you try to rip off a piece? 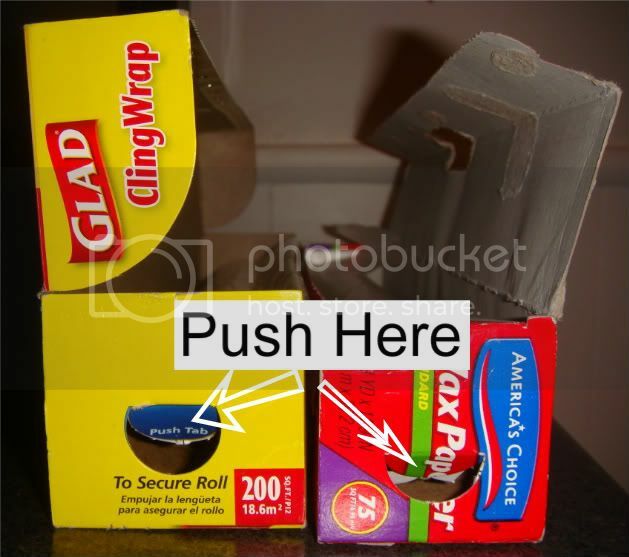 Well, at the end of the boxes, they have a little tab you can push to lock the roll in place. Did you know that? Can't believe I just found this out?! I heard this on NPR (yes, I know I'm getting old) a couple of weeks ago. oh wow!! I did not know this until now!! LOL Thanks Joni!! That is soo funny! !